At Texas Christian University’s Bob Schieffer College of Communication I teach graduate and undergraduate level conceptual and skills classes in journalism. These include a Master’s Proseminar in Journalism, JOUR 50123; Business Journalism, JOUR 40453; and Race, Gender, and the Mass Media, JOUR 20001. Where appropriate, I infuse these classes with historical and other research methods and theory. These include media theories, gender theory, and critical race theory, among others. In spring 2014, I introduced a new course, Latinos in the U.S. Media, JOUR 40970/60970, which examines the history, growth, influence, and disruptive force of Latino media in the United States at a time when Latino readership and viewership are increasing and mainstream media outlets are struggling. This course provides a general survey of Latino print, broadcast, and social media in the U.S., exploring how they impact popular culture, serve as a tool for identity formation, and present marketing and advertising opportunities and challenges. Business Journalism, JOUR 40453, is an upper level elective that focuses primarily on covering companies, the workforce, and the consumers of their goods and services. This course gives students the know-how to cut through corporate dross and discern the salient details necessary to provide a true public service to readers. My experience as a business journalist for the Chicago Tribune and Bloomberg News informed the syllabus. 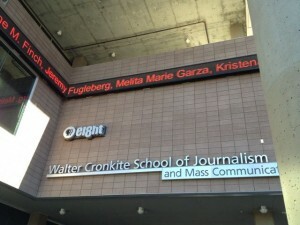 In 2013, I was named a fellow of the Donald W. Reynolds Center National Center for Business Journalism at Arizona State University’s Walter Cronkite School of Journalism and Mass Communication. I gained further insights into curriculum development that I have applied to this course. TCU has designated Business Journalism a “writing emphasis course,” meaning that the class is small and students gain direct feedback on writing, including drafts and re-writes of news stories and features. As a graduate student at the University of North Carolina at Chapel Hill, I developed the curriculum and syllabus for Economics Reporting, JOMC 451, integrating history and journalism history in the course content where appropriate. My goals were to build students’ economic literacy and help them learn to find, analyze and write about economic data. This included the stock market and fields such as energy and housing that figure into economic stories. I also aimed to help them develop skills to critique various forms and styles of financial news. Some of my students now work at CNBC in New York and Thomson Reuters in Moscow, while others had internships at Bloomberg News, the St. Petersburg Times and the Motley Fool, among other places.